H. Leon Hewitt has always had a passion to be of service to others. Over his 13 years of legal practice he recognizes that every case is different with its own set of problems but also its own set of solutions. Attorney Hewitt believes that listening is a skill that is key to helping clients achieve their goals. He will always be a fierce advocate in representing your case and believes in positive client outcome. Prior to entering the field of law, he worked for over twenty years as a licensed pharmacist. He has volunteered his time as a Big Brother and literacy partner at his church. 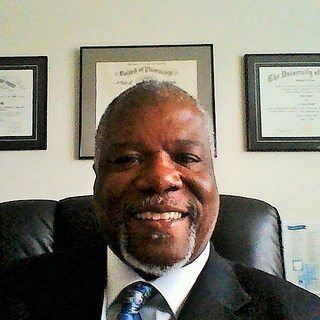 Mr. Hewitt served as Vice-President and Treasurer for the Black Law Student Association at the University of Dayton School of Law and the Cincinnati Pharmaceutical Association. He holds memberships in the Cincinnati Bar Association and the Federal Bar in the Southern District of Ohio. Attorney Hewitt has a J.D. from the University of Dayton School of Law and a B.S. from the College of Pharmacy at the University of Michigan. His practice areas are: Divorce/Custody, Bankruptcy, DUI/DWI, Criminal Law and Civil Litigation.